Unable to join a server. I just tried to join #10 Chicken Barracks and was PB kicked. 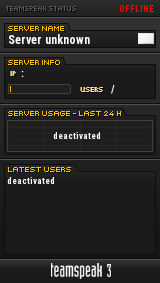 I tried joining an empty server with the same results. I have tried running Assist as an admin, updating and re-installing PB from the Assist Console management while as an Admin with the same results. I'm not sure what the cause is as I had no issues last night. Re: Unable to join a server. I saw a post that Possessed posted that may have resolved this quite possibly but cannot confirm 100%. Sorry for the premature post if this resolved it. Make sure your PnkBstrA.exe and PnkBstrB.exe are allowed through your Windows firewall. Temporary disable Your Anti-Virus, to ensure your AV isn't deleting the PB driver. edit 21/06/2018, Fixed auto request admin privileges (duck win10).